Satish Kikkeri has over 25 years of Technology and business leadership experience, successfully building network and security products for the Enterprise, Telco, Cloud, and Datacenter markets at Cavium, Huawei, Mellanox, Sun Microsystems and Network Associates, relevant to Global Telecom, Cloud (Public, Private, hybrid, and Enterprise), Financial, and Healthcare, Security, and IoT verticals. 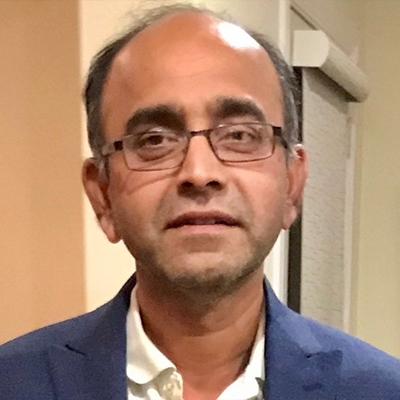 His diverse experience spans Software Engineering, Product Management, Product Marketing and Strategy in the areas of SDN, SD-WAN, Network (Acceleration, Management), Network and Application Security, Network monitoring, Storage, High-speed connectivity, Virtualization, and Analytics. "Satish has an MBA (USC Marshall School of Business) BS in Computer Science and Engineering (India), MS in Computer Science. Satish has been a speaker at various technology conferences and tradeshows including Interop, Gartner Summit, IDC MENA, Cloud Computing World Forum and other technology Summits"